AC had originally made its name selling three wheeled "carriages" during the beginning of the century, today AC tends to remembered for its legendary post-war sports cars. 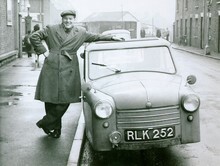 In 1952 AC introduced the Petite coupe which harked back to the early three wheeler days of AC. 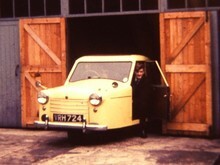 The new car provided basic, economical transport for motorists looking for an alternative to the second-hand motorbike combinations, which were popular at the time. 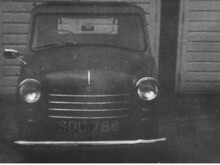 This vehicle had proper car-type 12v electrics with dynamo and starter motor. The hydraulic brakes were on the rear wheels only. The crankshaft was fitted with a 3 groove pulley. 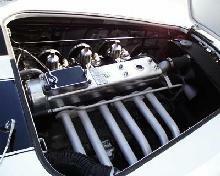 3 v belts in parallel drove a much larger external flywheel and clutch assembly mounted on a separate gearbox. The flywheel was fitted with a car type ring of teeth for the starter. The Gearbox mounted above diff. with the chain drive joining them. The column gearchange was poor - you rattled the lever and it was pot luck which gear was selected. It had a very small turning circle so going fast in reverse on fulllock always impressed onlookers. 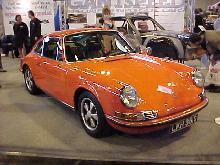 The body featured alloy panels mounted over a steel chassis, the interior could seat a driver and two passengers. Production continued in limited numbers until 1958.